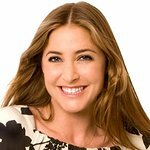 Model and TV and radio presenter Lisa Snowdon has completed her first parachute jump for charity – with the support of former boyfriend George Clooney. Snowdon jumped from 13,000 feet to raise money for the Help A London Child scheme and the Shooting Star Hospice earlier this week. Last week, Look To The Stars revealed that George Clooney had donated $19,000 to the initiative. “What a feeling,” said Snowdon. "When I got to the skydiving centre I was really nervous, it looked so high up. I don’t think I realized how high it was. My nerves were building when we went up in the plane and I felt really sick – it seemed to take forever to get up there. When we got up to 13,000ft the red light went on, then the yellow light which means it’s time to go and I freaked out. Snowdon also took part in last week’s BGC Charity Day, which raised money for charities such as Barnardo's, Breast Cancer Care, Help for Heroes and The Variety Club.